The Anzac Parade Trees were planted in memory of the soldiers who fought in World War One. The plaque on the rock on the corner of Doyle and Barwan streets was erected by the Narrabri Garden Club in 1988. 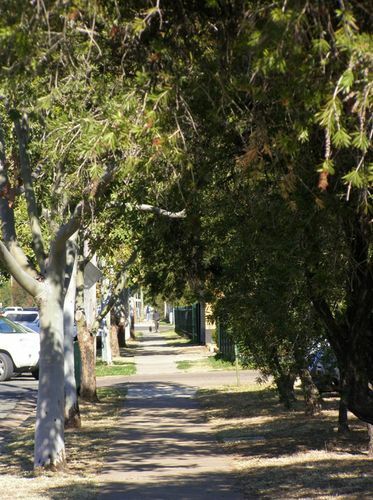 In the mid to late 1990's the original trees which were planted in the 1920s were removed by council due to their deteriorating health and due to problems with overhead powerlines. More suitable trees were planted in their place.